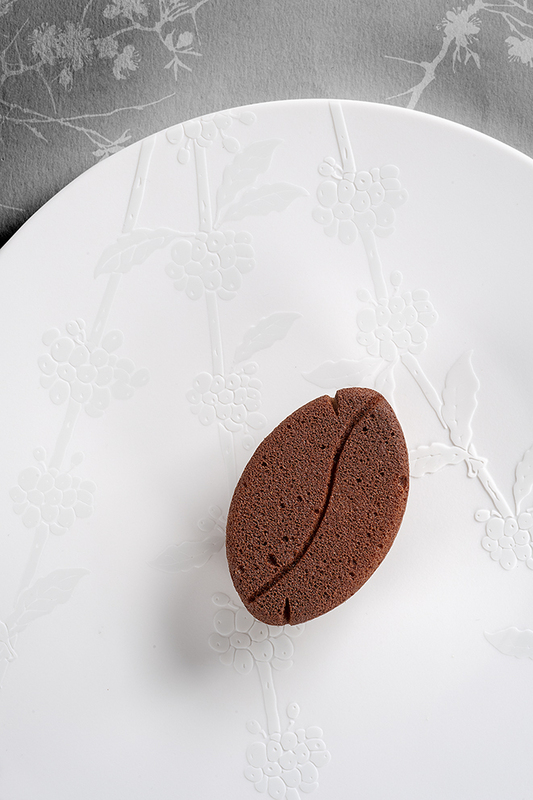 A native of Brittany who trained alongside the greatest chefs in the business, notably including Alain Senderens at Lucas Carton, he has also worked in the kitchens of the finest culinary establishments in France and elsewhere, such as Le Crillon and L’Ambroisie. His travels in Japan have also had a strong influence on him. Wherever he has been, Jérôme Banctel has perfected his mastery of traditional French cuisine with a winning blend of passion and discipline. Unfailingly rigorous with regard to products, painstaking when it comes to cooking times, he strives for authentic flavor above all. Born in Rennes, Jérôme Banctel spent his childhood at Piré-sur-Seiche in Breton Brittany. At the age of 16, he enrolled at Notre Dame de Saint-Méen-le-Grand hotel school where he spent four years. 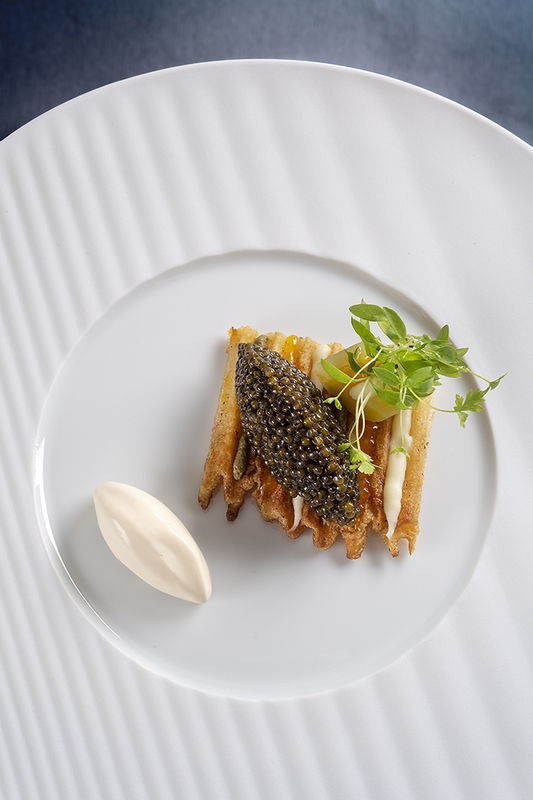 His gastronomic career began with Michel Kerever’s team at the Duc d’Enghien, in Val d’Oise, followed by a stint at the Vreugt en Rust restaurant in the Netherlands. Jérôme Banctel came to Paris in 1993 after completing his military service. 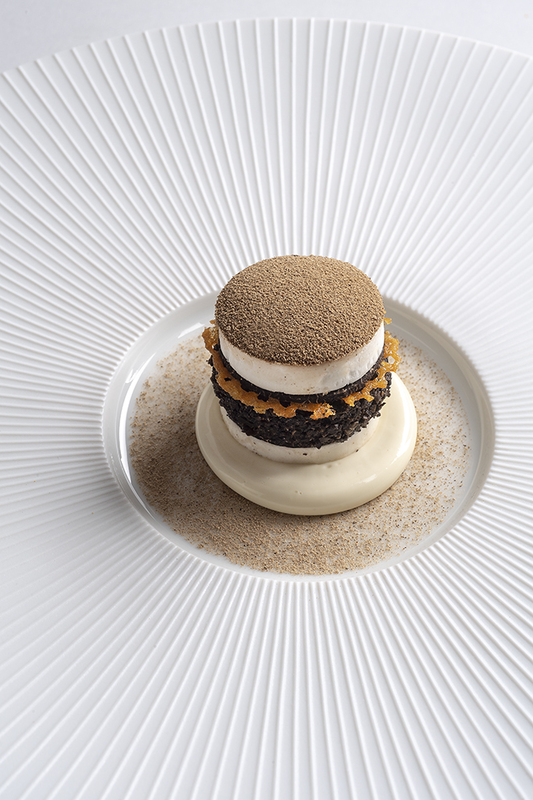 He spent eight months at the Jules Verne with Monsieur Reix before joining the kitchen team at Les Ambassadeurs, a gourmet restaurant at the Hôtel de Crillon, reporting first to Christian Constant and subsequently to Dominique Bouchet. A whole new phase followed on from this at L’Ambroisie, a prestigious restaurant at the Place des Vosges, where he spent eight years as Sous-Chef. Here, working with Bernard Pacaud, he learned thoroughness and respect for fine produce. The high point of his early career came in 2006 when Alain Senderens asked him to become head chef of his restaurant at the Place de la Madeleine. Since 2005, the famous restaurant had been at a turning point in its history. Previously named Lucas Carton, the Senderens had kept the historic Art Nouveau setting designed by Majorelle while relinquisihing its three stars in favor of more contemporary, streamlined, creative cuisine, with lighter bills and more relaxed service. Working with this starred chef greatly contributed to Jérôme Banctel’s development. He adopted his creed which involves starting with the finished product (wine) to determine the best possible pairing. The concept of pairing wine and food offered a whole new perspective on gastronomy. 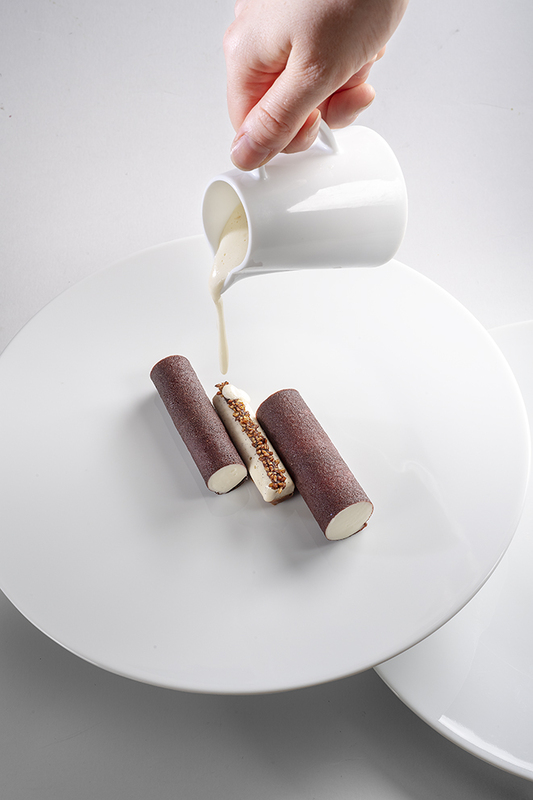 But Jérôme Banctel was also to transform the great chef’s culinary vision by introducing him to another way of cooking, based on extreme respect for produce, which led them to modify some of Alain Senderens’ signature recipes such as Apicius duck, along with more Asian-focused culinary inspiration. It was therefore together that in 2012 the great starred chef and his spiritual son wrote a recipe book providing a true account of their mutual understanding. Another expression of their cooperation was the opening of the Mama Shelter hotel and restaurant chain, for which Jérome was to serve as chief consultant, coached by Alain Senderens. At the start of 2015, Jérôme Banctel found himself preparing to take on a new challenge. Michel Reybier, owner of La Réserve in Ramatuelle and Geneva, had funded the acquisition of the Résidence Maxim’s in Paris. This was one of the great innovations in 2015: the opening of a five-star hotel opposite “Laurent”, the famous establishment at the lower end of the Champs-Elysées. And it was Jérôme Banctel whom he asked to head up the kitchens of Le Gabriel, the gourmet restaurant of his Parisian Réserve. Passion and discipline are unquestionably at the root of this 47-year old chef’s success. 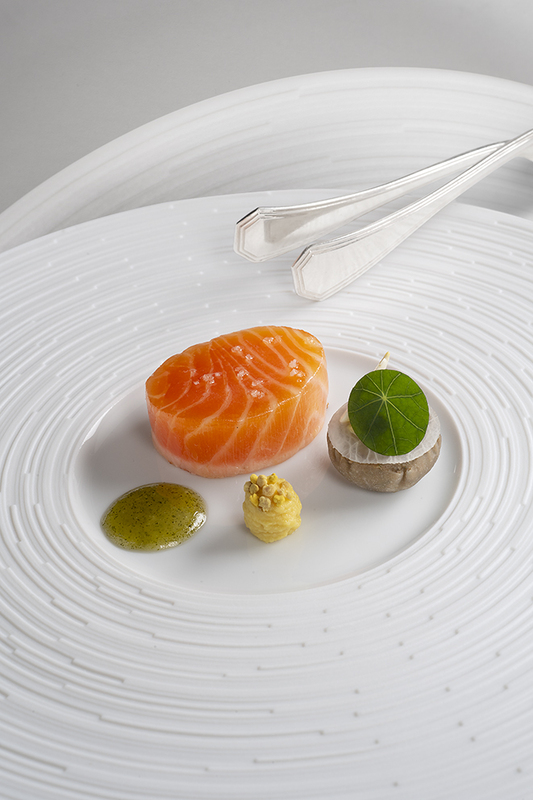 On February 1st 2016, the Guide Michelin France 2016 revealed its star-awarded tables. 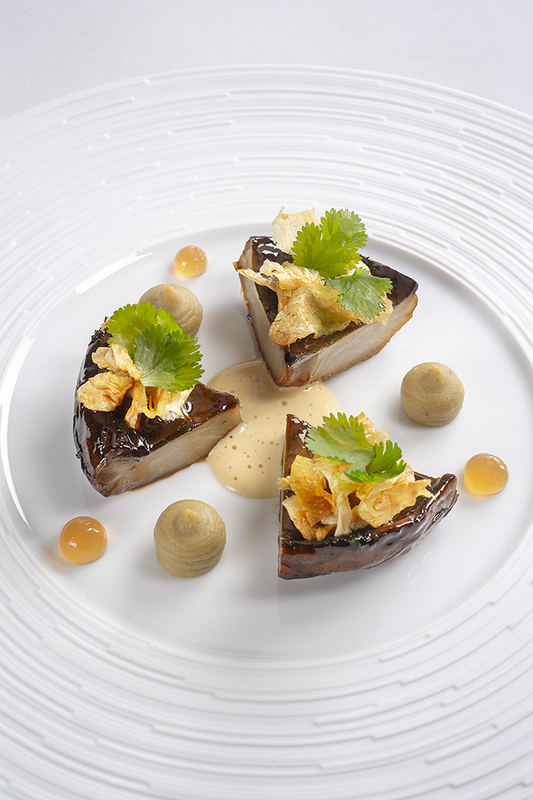 La Réserve Paris and its restaurant, Le Gabriel, managed by Jérôme Banctel, are proud to have joined the ranks of two-starred establishments, just a year after they opened.